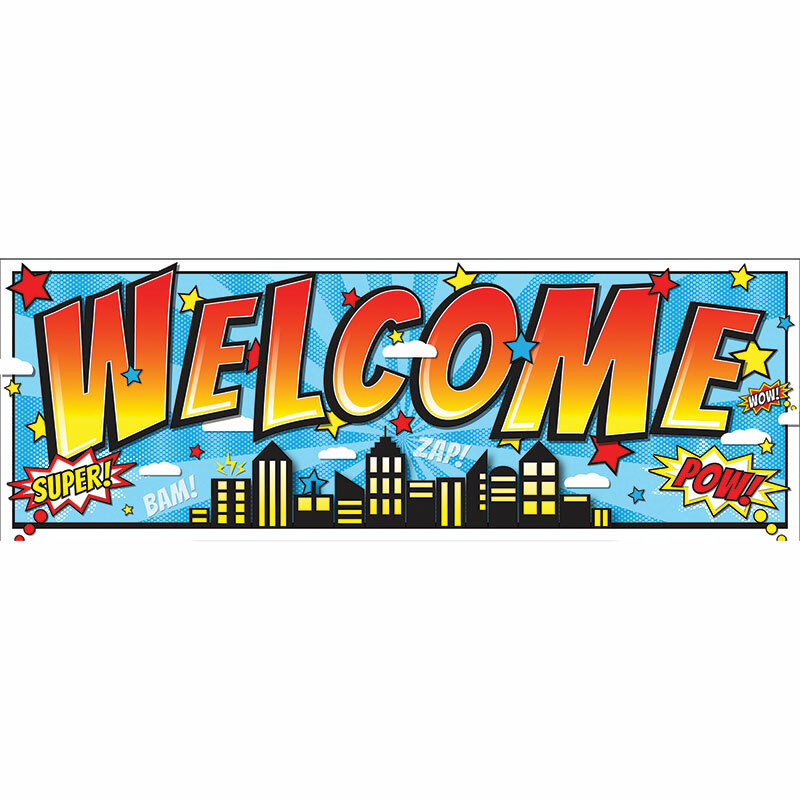 Our Welcome Banners are fun and easy to clean! A colorful way to welcome students to the class. Reusable magnetic decor! Measures 6" x 17".